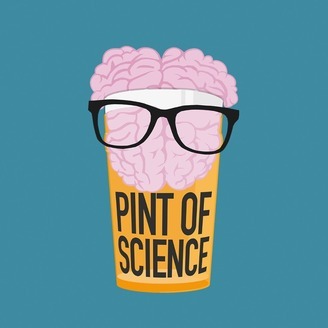 Every Monday, we meet leading scientists in pubs around the country, get a pint in, and talk to them about life, their universe, and everything. This week we share a pint with a scientist who really smells. Sorry, he researches smells. Specifically, he’s interested to know how maggots smell; who says science can’t be glamorous! Our guest for episode 6 is the University of Manchester’s Professor Matthew Cobb, Professor of Zoology, award-winning science communicator extraordinaire and expert on the French Resistance during World War II… A bit of a modern-day polymath! We made a return visit to Manchester’s very accommodating Salutation Inn, where we spent a fascinating couple of hours learning about (amongst other things): the nature of consciousness; how we can apply our understanding of genetics to give us clues about the sense of smell in Neanderthals; and why it’s better to work with flies than people… Matthew literally arrived armed with a bottled smell, such is his commitment to hands-on (noses-on?) science communication. Enjoy! 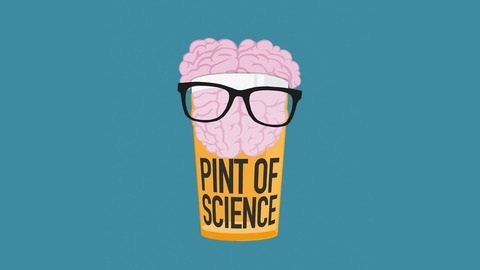 Welcome back to the Pint of Science podcast. Each week, we meet scientists in pubs around the UK to find out about their lives, their universe, and everything. From *how* fruit flies love to *why* humans love, via jumping into volcanoes, winning Olympic medals, where we came from and more! Professor Matthew Cobb is Professor of Zoology in the Division of Evolution and Genomic Sciences at the University of Manchester. After obtaining a PhD in Psychology and Genetics from the University of Sheffield, and a stint as a postdoc at the Institute of Psychiatry in London, Matthew moved to France in 1984 – where he stayed for 18 years. The various positions he held in France shaped his research interests in chemical communication and the sense of smell (as well as his historical interests in the French Resistance during World War II). Matthew returned to the UK in 2002 to take up a post as a lecturer at the University of Manchester, where in 2007 he received the University’s award for Teaching Excellence. Alongside his research, Matthew has published two popular science books; The Egg & Sperm Race (2006), and Life’s Greatest Secret (2015). He has also written two historical books on the French Resistance, and regularly writes for The Guardian. Matthew is great on twitter, follow @matthewcobb for regular fascinating nuggets of science.